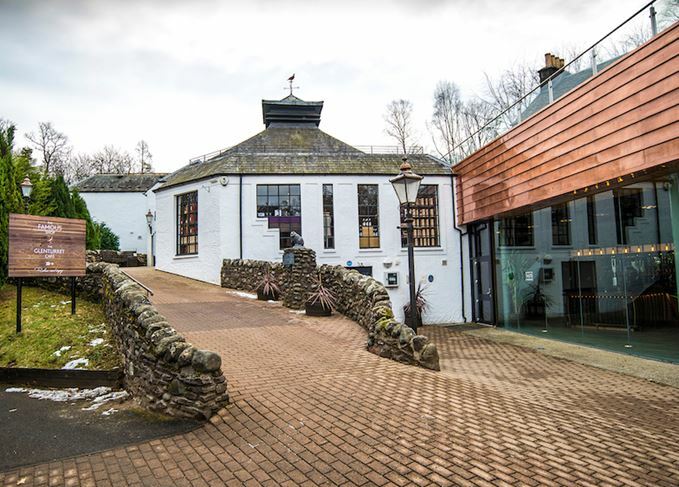 The Glenturret distillery at Crieff, home of The Famous Grouse Experience, has a new owner – luxury goods business Lalique. But the team at the Perthshire plant has a familiar look to it, as Richard Woodard discovers. Until now, Glenturret has been best-known for The Famous Grouse Experience visitor centre, Towser the mouse-devouring cat and a dubious claim to be Scotland’s oldest distillery (supposedly dating from 1775, although licensed distilling only began in 1818) – but all of that might be about to change. Nine months after being put up for sale by Edrington – owner of Macallan, Highland Park and The Famous Grouse – the distillery in Crieff has a new owner: Glenturret Holding, a joint venture between luxury goods company Lalique Group and Swiss entrepreneur Hansjörg Wyss, Lalique’s second-largest shareholder. Lalique, known for its glassware but with interests in perfume, cosmetics, jewellery and furniture, paid £15.5m for its half of the distillery, brand and whisky stocks, giving Glenturret an implied total value of £31m. Lalique company chairman and majority shareholder Sylvio Denz is a keen wine collector, and owner of Bordeaux estates Château Faugères (St-Emilion) and Château Lafaurie-Peyraguey (Sauternes) – but what does the Swiss owner of a French crystal maker know about whisky? Perhaps more than we might think; Lalique has been working with luxury-focused single malt Macallan for many years. ‘Thanks to its collaboration with The Macallan, Lalique has acquired significant expertise, goodwill and standing in the Scottish whisky industry,’ says Denz. It has also acquired a couple of high-profile figures in the Scotch whisky world, whose names are indelibly linked with Macallan: Bob Dalgarno, who spent 30 years at the Speyside distillery and who takes on the role of Glenturret master blender, and Ken Grier, the new venture’s strategic consultant, and the man who did more than anyone to bring Macallan’s new £140m home to life. Denz says he is ‘very proud’ to have both on board with the new project, describing them as ‘great business partners and friends over the past 10 years’. General manager John Laurie and distillery manager Ian Renwick – in post for more than 20 years – complete the senior Glenturret team. So, will the approach with Glenturret mirror the Macallan philosophy of luxury bottlings targeted at wealthy drinkers in the Far East? Denz has declined to comment on that, but the company does say that ‘anticipated joint initiatives include the design of The Glenturret whisky bottles by Lalique and the creation of limited whisky decanters in Lalique crystal’. The glassmaker will, however, continue to work with Macallan: ‘The partnership… is as strong as ever,’ says Denz. Beyond the distillery and visitor centre, Lalique is acquiring more than one million litres of maturing Glenturret whisky, the oldest dating back to 1987, as well as 2,400 cases of bottled whiskies. What will the company do with it? Single malt bottlings from Glenturret have been relatively rare, although there was an abortive attempt to create a three-strong core range (Sherry, Triple Wood and Peated) in late 2015. The new Glenturret range is set to hit the market in 2020, but its exact form remains unclear, with Lalique only saying that stocks ‘will allow for the blending of high-end single malts with ages ranging from 10 to 40 years, including various special editions and “The Master Blender’s Choice” limited editions’. Glenturret is a small, self-styled ‘farmhouse’ distillery that has made great play of its traditional production methods, such as hand-mashing, fermentation times of up to 100 hours and the slow running of its stills. But Lalique believes the plant can work harder. ‘The Glenturret distillery has the capacity to considerably expand its current production level of around 170,000 litres [of pure alcohol] per year without the need for significant investments,’ the company has said. Increased production will be phased in quite rapidly, Denz adds, but without the need to expand the distillery. ‘Glenturret will be able to increase annual production over the next three years to around 500,000 litres per year with its existing stills, mashing and fermentation capacity,’ he says. Glenturret has also been home to The Famous Grouse Experience tourist facility since 2002 but, with Edrington holding onto Grouse, that will have to change. As a relatively accessible Highland distillery – an hour or two’s drive from both Edinburgh and Glasgow – Glenturret currently attracts about 70,000 visitors a year. He also indicates that Glenturret will get together with ‘other renowned Scottish brands, particularly in the gastronomy and hospitality sector’. No further details yet, but it is worth bearing in mind that the Gleneagles Hotel is about 10 miles away. Lalique already runs a few high-end hotels, including a recently opened example at the Château Lafaurie-Peyraguey estate in Sauternes. At the moment, Glenturret employs 25 people; as it cuts the Edrington apron strings and becomes self-sufficient, that figure is likely to expand to 30. The distillery will continue to produce peated spirit intermittently – known as Ruadh Mhor and previously mostly blended into The Famous Grouse Smoky Black. Lalique is not buying a cash cow. In a buoyant market for single malt, Glenturret’s net profit was a wafer-thin £200,000 in 2018, but Lalique believes that’s misleading, thanks to the fact that there were ‘significant’ discounted sales of its whisky to other parts of the Edrington empire. It expects ‘significantly higher’ profits following the ‘moderate’ spending planned for 2019 and 2020, and Denz says Glenturret remains ‘a rare investment and business opportunity’. The truth of that statement remains to be seen. Lalique has considerable expertise in the luxury goods market, and global distribution to match – but this is the company’s first venture into Scotch whisky and, says Denz, there are no plans for further acquisitions. Can some of the Macallan magic rub off on this relatively unheralded distillery, so far remembered more for tourism, feline killing machines and contentious historical claims? Time alone will tell. A new owner is being sought for the home of Famous Grouse and blended Scotch Cutty Sark. The home of The Famous Grouse has been sold to the crystal manufacturer’s owner. Are whisky decanters making a comeback? Delving into the history of the whisky decanter. Could it be set for a 21st-century renaissance? The ‘unique’ set of six single malts, aged for 50-65 years, will be auctioned in Hong Kong.